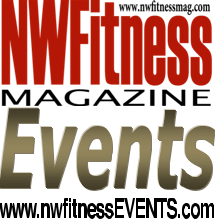 Search the NW Fitness Event calendar to find an event to participate in as a competitor, spectator, sponsor, vendor or exhibitor. Register for events as participants, spectators, vendors and sponsors. Rate events through NW Fitness online registration system. Many categories to choose from, eg: triathlons, runs, cycling, swim, adventure race, mud runs, fun runs, bodybuilding, fitness, bikini, physique, cross fit, strongman, powerlifting, health expo, fitness expo, beauty expo, health trade show, fitness trade show, beauty trade show.